Tablets can be incredibly useful in many situations, and the kitchen is no exception. Whether you're following a recipe, using an app to convert cups to tablespoons, or getting your Gosling fix, there are a lot of reasons you might keep your tablet nearby while you're cooking. The obvious issue here is that you're cooking, and electronics don't generally mix well with food. One over-zealous stir or overturned measuring cup and your device is splattered in who-knows-what. No bueno. 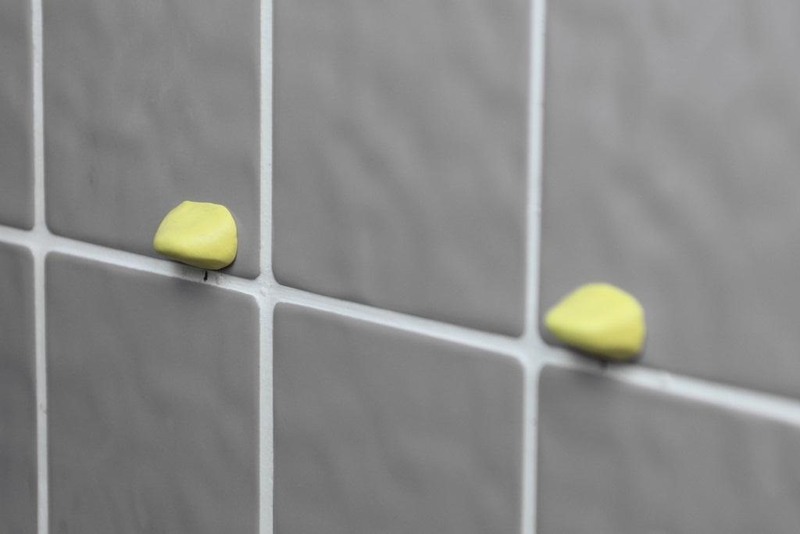 There's no shortage of stands and mounts you can buy, whether for the wall, countertop, or under the cabinet—but why pay for one when you can make the easiest wall mount ever using nothing but Sugru? Two minipacks of Sugru, to be exact, which you can pick up from their online store (10 bucks for three). Start by kneading them together and separating into three pieces, two large for the bottom and one small for the top. Now, make two marks on the wall where the feet will go. Shape the two larger pieces into little shelves, and the small piece into a clip that will curl over the top of the tablet and hold it in place. 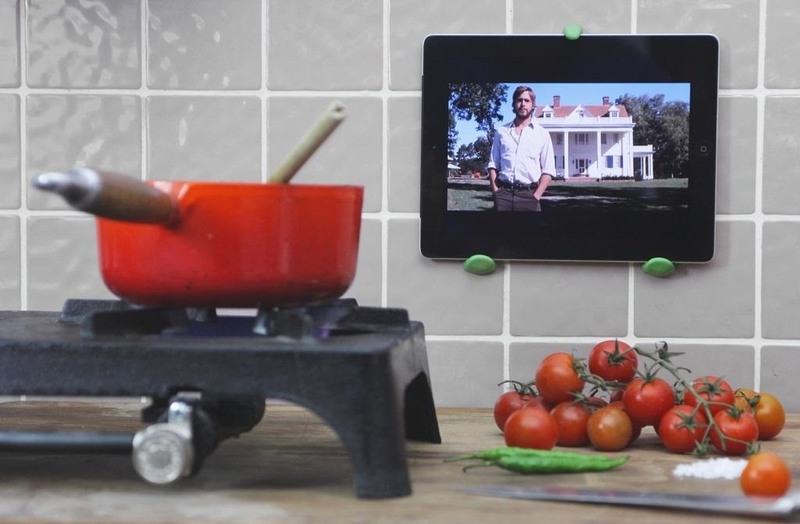 Place your iPad or Android tablet (or whatever gadget you choose) in the mount to mold it to the right shape. The guide suggests wrapping it in plastic wrap and putting a little soapy water on the outside edges so you can easily slide it out. 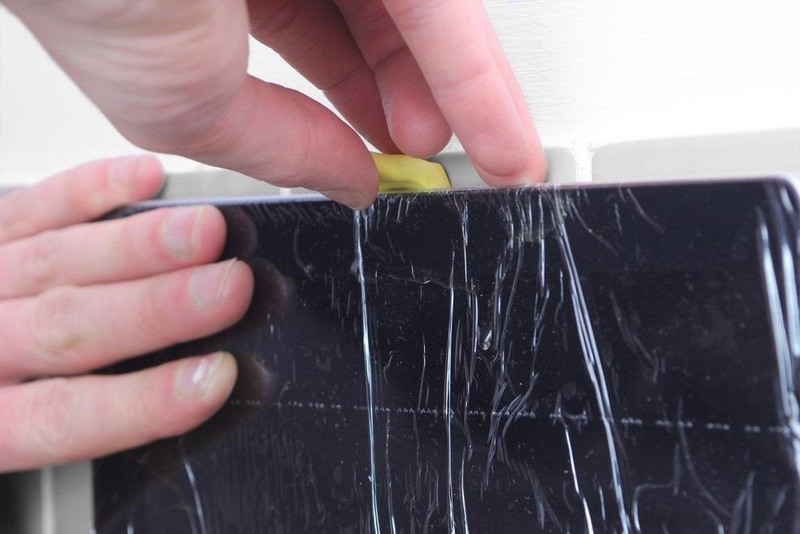 Once you've got everything into place, remove your tablet, let the Sugru cure for 24 hours and it's ready to use. No more near-heart attacks from spilled ingredients! You can check out the full tutorial on Sugru's website for more details and step-by-step photos. That does nooot look sturdy.